I went on a three day trip to Edinburgh. Actually, I had wanted to do something a bit more ambitious on Wednesday after working Monday and Tuesday, but then my plane was delayed and I did not arrive before Monday night (meaning missed a whole day's worth of work) and therefore had to work until Wednesday. 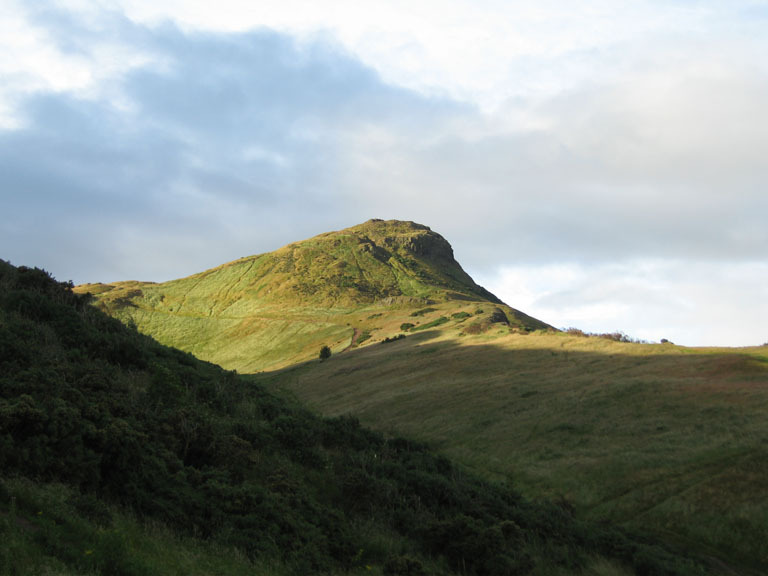 However, on two occasions I got out (Monday evening and Wednesday early morning) to hike up to Arthur's Seat and the Salisbury Crags, both towering over the city and offering very nice views of the city, especially when the sun is shining.